This book chronicles humanity's cultural and psychospiritual evolutionary journey over some six million years from its primal past into its dazzling cosmic future. 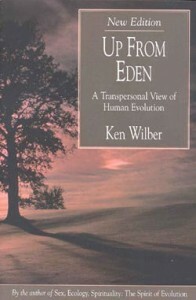 "I consider Up from Eden the "single greatest work on psychology ever written -- including Freud, Jung, et al.!" -- Dr. Silas Wesley, past professor of Clinical Psychology, Yale University, and Director, Psychology Clinic, University of Southern California.